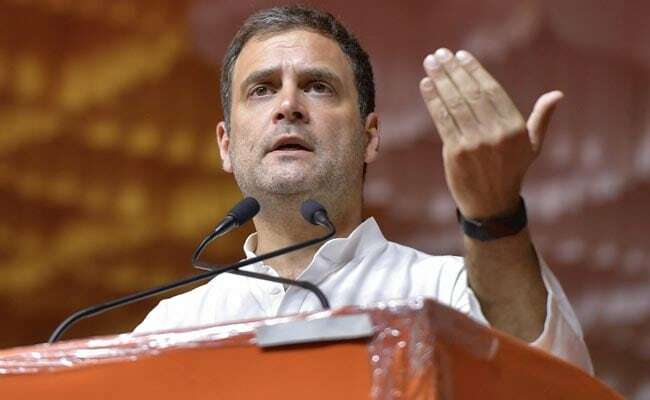 Elections 2019: "The Congress party believes in allowing all people to express their faith, express their beliefs and express their sentiments," Rahul Gandhi said. Addressing a massive poll rally in Pathanamthitta, where the famed Sabarimala Lord Ayyappa temple is located, Rahul Gandhi said his party wants an India "where people can express what is there inside their heart as long as those expressions are peaceful and non-violent." The entire Kerala, including Pathanamthitta, had witnessed frenzied protests by devotees and right wing outfits against the CPI-M-led LDF government's decision to implement the September 28 Supreme Court verdict, permitting women of all age groups into the hillock shrine. "The Congress party believes in allowing all people to express their faith, express their beliefs and express their sentiments," Mr Gandhi said. "But the Congress will never take an action that stops people from genuinely expressing their faith," he said, adding that he leaves the matter to the "wisdom of the people of the state." Prime Minister Narendra Modi had, while addressing an election meeting in Kozhikode on April 12, also not mentioned the words like "Sabarimala" or "Lord Ayyappa". However during his campaign meetings in Tamil Nadu later, Modi had alleged that the communists, Congress and Muslim League were playing a dangerous game on the Sabarimala issue, which Kerala Chief Minister Pinarayi Vijayan rubbished as "misleading" and "utter lies".